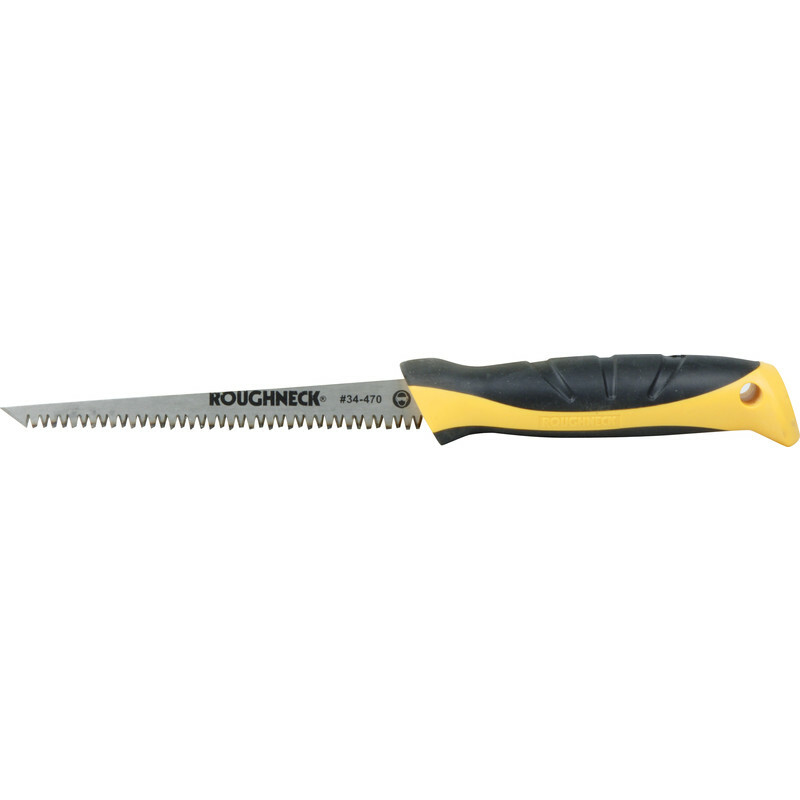 Premium grade, 1.5mm thick steel blade for extra strength and triple ground teeth for faster cutting. Heat treated and induction hardened with a heavy duty double injected grip. Supplied with canvas holster. Roughneck Pad Saw 150mm (6") is rated 4.7 out of 5 by 9. Rated 5 out of 5 by Gary DS from Great tool for an awkward job I couldn't have done the difficult job without this tool. The perfect tool for an awkward job. Rated 5 out of 5 by Clive S from Rigid and sharp. Bought this for cutting kitchen units and it does this well considering how hard laminate is. Also used it for plastered and painted plaster board for drylining boxes and it is infinitely better than cheap pad saws as it doesn't bend. Just be careful to push cut rather than pull as so as not to pull the plaster away as ypu cut. Rated 2 out of 5 by john07 from returned for refund on receipt of the saw it was immediately obvious that it was not suitable for the job I had in mind. It has therefore been returned to your Taunton BRanch and exchanged for some brackets for another job. Rated 5 out of 5 by Douggie from I found this excellent to use This saw great to work with as it has an excellent grip.